The forum is to resurrect the conversation around Gandhi's 18-point Constructive Programme and use it to reimagine and co-create India's priorities to formulate an actionable agenda for the present. 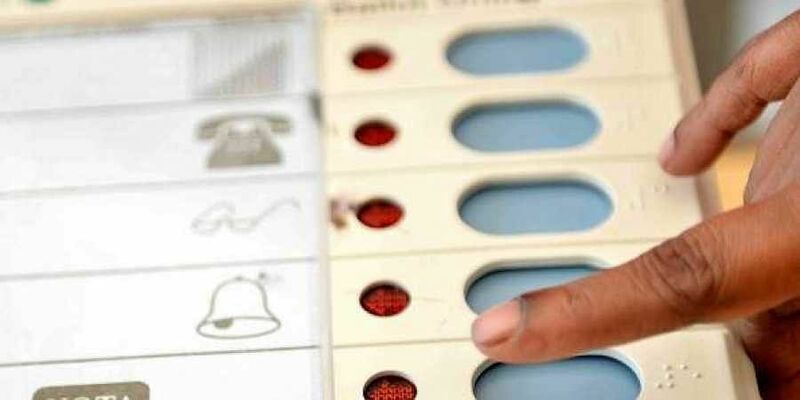 CHENNAI: The Indian Political Action Committee (I-PAC) launched the National Agenda Forum (NAF) which expects to mobilise about one crore citizens to formulate an actionable agenda for citizens to choose their leaders online in the 2019 elections, an official said on Sunday. The I-PAC official told IANS that the NAF was a tribute to Mahatma Gandhi on his 150th birth anniversary year. It is a unique citizen-centric initiative to formulate an actionable agenda for next year's general elections. The NAF is formed to resurrect the conversation around Gandhi's 18-point Constructive Programme for independent India and use it to reimagine and co-create India's priorities to formulate an actionable agenda for the present. "There are more than 25,000 registered members. We expect to mobilise about one crore citizens. They would formulate an actionable agenda and also choose their leader by voting on the NAF website," the official said. Prime Minister Narendra Modi was in the lead by securing about 31 per cent of the votes cast online. He was followed by Delhi Chief Minister Arvind Kejriwal, Congress President Rahul Gandhi and DMK Working President M.K.Stalin. Other leaders listed in the NAF website are CPI-M General Secretary Sitaram Yechury, Congress MP Shashi Tharoor, Bihar Chief Minister Nitish Kumar, West Bengal Chief Minister Mamata Banerjee, Odisha Chief Minister Naveen Patnaik and Bahujan Samaj Party (BSP) supremo Mayawati. "There is a provision for a person to choose any other leader besides those listed in the website," the official added. Once the voting results are out on August 15, youth volunteers would meet the chosen leader in September or October. The agenda would then be taken to the entire nation, before it is adopted as part of the party manifesto in January 2019. Only Mr. Narendra Modi can change the fortune and built the pillars of New India. Indians can take great pride in the fact that some of the most well-known personalities of the 20th and 21st centuries cite the Mahatma as their role model. There is none other , only one and one Mr. Narendra Modi can change our fortune. Obviously nation need Narendra Modiji as PM for lokshabha election 2019 and also 2024. Because it's necessary to complete all development agenda and only it's can only done by Modiji. There are no other leaders can do it in current scenario.Also we can not any blame on Modiji about his petroitism. His actions and priority in all sectors are equal and we'll maintain day to day job. Only Narendera Modi is best candidate for Pm. Rahul? How he can be fit for PM. He is on bail in National Herald corruption case. Never .... Rahul Gandhi is still not matured for PM candidate as intellectually n diplomatically. For huge Indaian democracy only tuff decision maker n confident PM is today's need. India should give one more chance to PM Modi for best future.